Tabletop booth for 1 or 2 interpreters. Ideal for tight, small spaces or when traveling. includes soft carrying case for storage and transport. 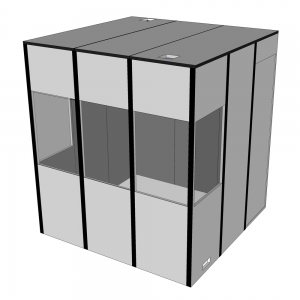 This tabletop interpretation booth can accommodate 1 or 2 interpreters and is the perfect solution for tight, small spaces and when traveling. It includes a soft carrying case. Its impact PMMA windows are 20 times stronger than glass. 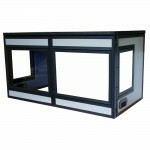 This booth can be easily assembled on top of a 5 ft long table or larger. It is elegant, light weight and does not require any tools for assembly. It can be set up in less than a minute! 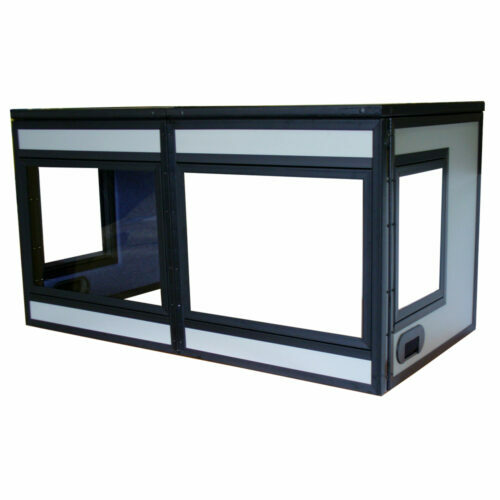 It provides an acoustical screen that helps reduce front sound projection due to its sound-absorbing interior layer. 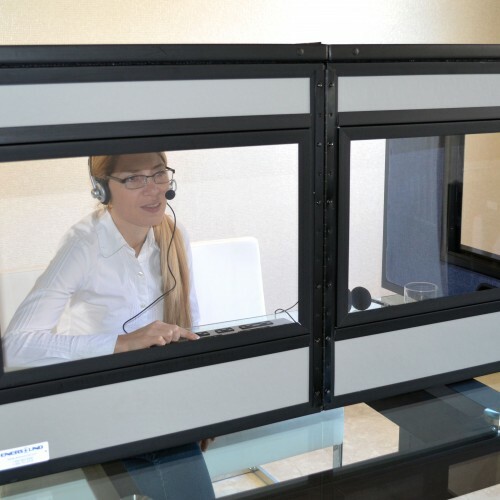 It also creates a comfortable working environment for interpreters providing visual, physical and psychological boundaries to maintain the intense effort of concentration required by their work. with a special sound barrier of acoustic foam and MIL-B131-H laminating aluminum foil. The inside covering is made of decorative 100% polyester cotton 9mm woven density. 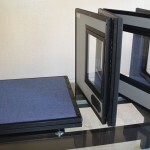 Frame is made of high density PVC extrusion with Velcro.